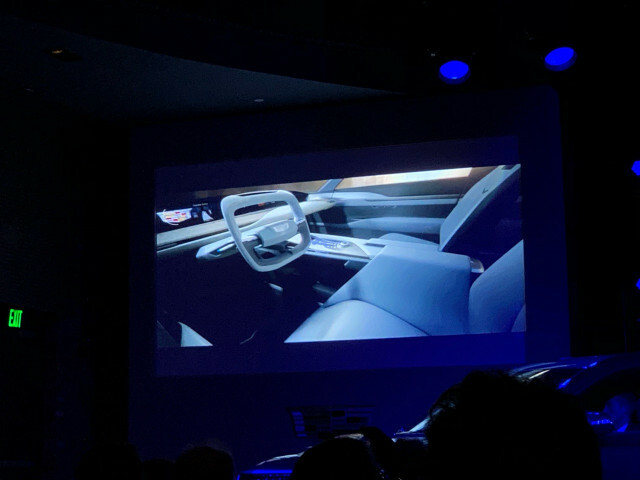 On Sunday night, General Motors showed renderings of a future long-range, all-electric SUV to be offered roughly three years hence by its Cadillac luxury brand. 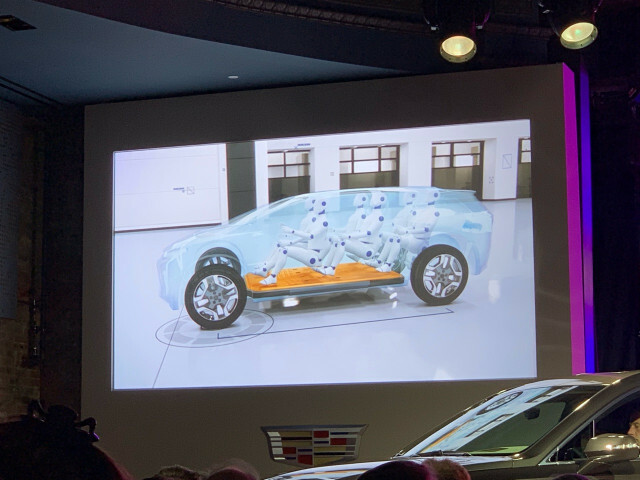 The look at the brand's first battery-electric vehicle came as part of the 2019 Detroit auto-show debut for the 2020 Cadillac XT6, a three-row crossover utility vehicle powered by a very conventional 3.6-liter V-6 gasoline engine. 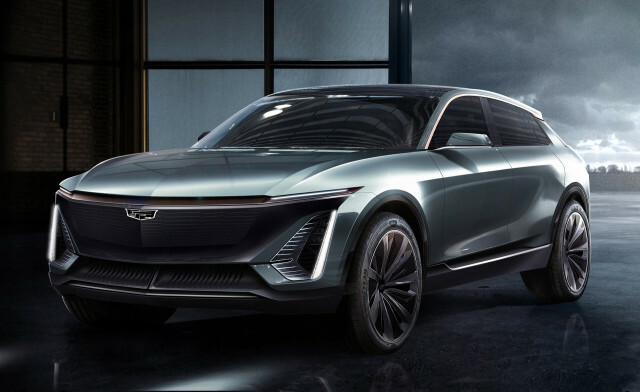 Cadillac president Steve Carlisle said the battery-powered utility would be the first vehicle derived from GM's future dedicated electric-vehicle platform. "While I can't divulge all of our secrets," Carlisle told assembled media, "I can tell you it will be sold globally and will arrive as the vanguard of the product wave that follows our current three-year product assault." 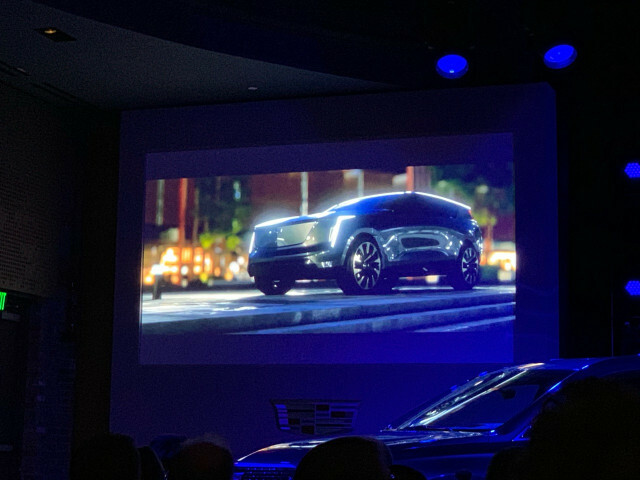 Last Friday, we learned that Cadillac would be GM's "vanguard" brand for electric cars, and the first to use the new electric-car architecture known as "BEV3." 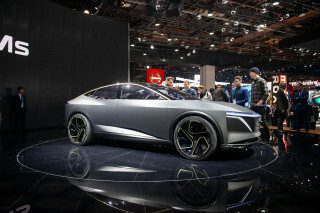 That platform, GM said, will allow the company "to respond quickly to customer preferences with a relatively short design and development lead time" due to its flexibility and variability. It can accommodate front-, rear-, or all-wheel drive configurations, and the battery system output can be varied depending on the specific vehicle and the needs of its buyers. 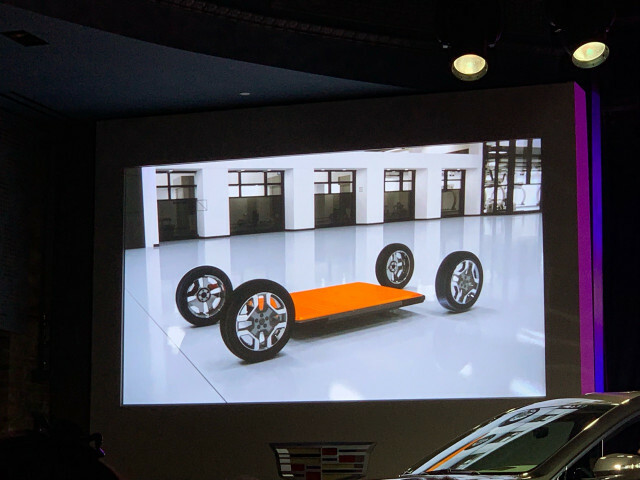 Cadillac is expected to benefit from the various body styles that can easily and quickly be spun off the basic architecture, which is similar in concept to the GM Autonomy "skateboard" chassis it debuted in 2002. For the moment, it will say only that the electric SUV's "name and additional details will be revealed closer to launch." The first is that GM has decided to follow the traditional development path for new and advanced automotive technologies, which historically have been launched in the most expensive brands and then filtered down to mass-market makes as costs fell. 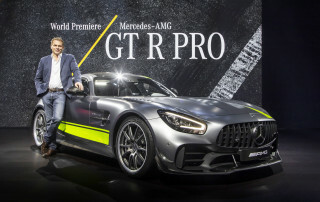 That's how innovative features—from the electric self-starter to automatic transmissions, from air-conditioning to disc brakes, from fuel injection to adaptive cruise control—have entered the market. 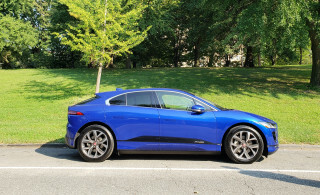 It's also the tradition that Tesla followed, launching first a six-figure electric sports car, then a large luxury sedan with a price starting at roughly double the average transaction cost of a new car. 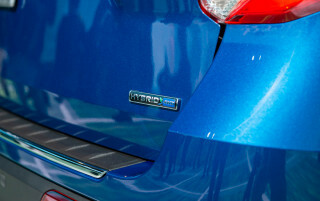 That was counter to the Toyota Prius model, in which an expensive new powertrain was launched in a small, mass-priced car—in part to achieve that car's social goals of reducing overall fuel consumption, which it did. That anomalous model was also followed by GM with its first Chevrolet Volt plug-in hybrid in 2011. Now it appears GM is reverting to historic practice, and plans to launch new long-range electric vehicles from the top of its brand portfolio. The second is that a launch date of 2022 or later means that the unnamed large Cadillac electric SUV will be profitable for the company, probably unlike the current Chevrolet Bolt EV when using generally accepted accounting principles. A year ago, GM CEO Mary Barra told investors the company's electric cars would be profitable by 2021—and the company would move forward on a greater range of electric vehicles with that in mind. Finally, we can safely assume that this is only the first of many long-range electric models that will start to emerge from Cadillac and then other GM brands in fairly rapid cadence. Last week's analyst presentation included a slide showing no fewer than 11 possible vehicles—from seven-passenger SUVs down to small crossover utilities (but no pickup trucks)—that could be built on the platform. 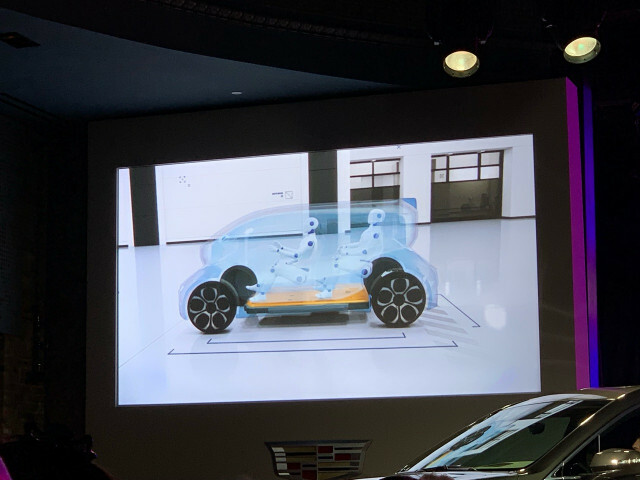 The new BEV3 vehicle architecture is designed to be "plug-and-play" to accommodate battery packs of different capacities and a variety of body types and size categories. What's not clear is whether previously reported plans to build additional models based on the Chevrolet Bolt EV—now in its third model year—remain in place. Those included a rumored all-electric small crossover utility with all-wheel drive that would supplant the current Buick Encore, first launched in 2013. 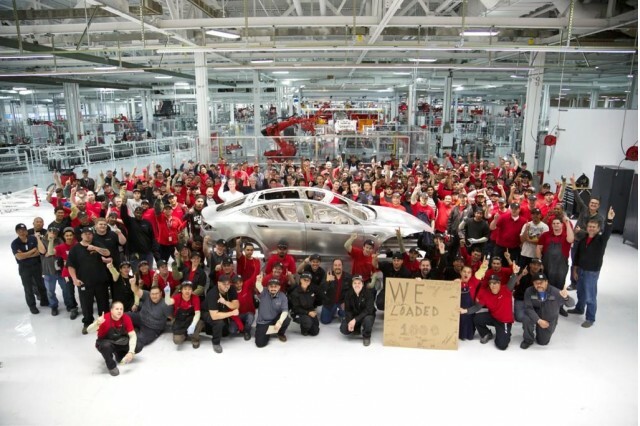 We'd bet at least one or two Bolt-derived vehicles are still in the cards, as a normal model cycle would keep the Bolt EV in production through 2021 to 2023. It's worth noting, by the way, that while our North American readers will imagine this vehicle at their local Cadillac dealerships in 2022 or so, a long-range electric SUV is just as much about the Chinese market as it is GM's home continent. Numerous Chinese makers—Byton, Faraday Future, and Nio, to name just three—have announced plans for long-range luxury crossover utilities, some with seven seats. Not all of those companies are likely to make it into volume production, but clearly that's a segment that will need to be addressed in the world's largest vehicle market. GM's hometown rival, Ford, has said for a few years now it plans to release a 300-mile all-electric utility vehicle; however it appears to be readying that model at a lower price point than a Cadillac (or Lincoln) might be sold—and giving it more of a performance emphasis. Given Ford's renewed focus on differentiated vehicles and better customer experience for its Lincoln luxury brand, which launched in China a couple of years ago, we wouldn't be surprised if Ford's electric SUV also launches as a Lincoln. If so, that brings the two largest U.S. carmakers into direct competition just the way so many other automotive segments have over the years. Meanwhile, electric-car enthusiasts may be left with just one question: Why do we have to wait so long?